The Drive My Way job of the day comes from J&L Building Materials, Inc.
A family-owned independent distributor, J&L provides discerning building professionals with an unmatched level of service. In addition, they offer competitive pricing and exceptional materials since 1958. Lou Moretzsohn and Jack Barnes, two roofing salesmen, founded J&L Building Materials, Inc. in 1958. Over half a century later, the company is one of the largest and most respected distributors in the region. In addition, with seven branches throughout Southeastern Pennsylvania and Delaware, J&L serves you. Today, Lou’s son, Dave Moretzsohn runs J&L Building Materials in the family tradition of quality products and outstanding service. J&L Building Materials is always looking for talented and motivated individuals who are dedicated to providing exceptional customer service. In addition, they know that every employee plays an important role in the continued success of J&L. 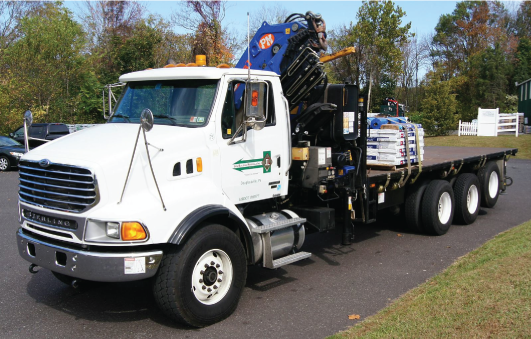 J&L has openings right now for Local CDL B Delivery Drivers & Boom Operators in Frazer, PA and in Avondale, PA.
J&L Building Materials employees enjoy a competitive salary package including medical, dental, life insurance, and a very generous 401(k) plan. In addition, they offer paid time off and year end bonus! Transport Designs, Inc is a family friendly trucking company with 280 trucks and 850 trailers. Since 1985, they have been specializing in transporting general commodities from the Upper Midwest to the West, NW, SW, SE and Southern States. At Transport Designs, they say what they mean and mean what they say, no gimmicks. 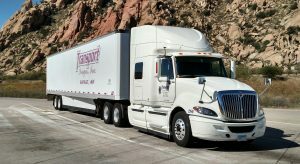 Transport Designs is currently seeking long haul CDL A drivers out of the Upper Midwest states of Minnesota, Wisconsin, and Iowa. This dry van position hauls general freight and is 100% no touch. Drivers are paid twice per week at the average rate of $0.45 for all miles. Also, Transport offers BC/BS Medical insurance after 90 days of employment as well as other great benefits such as 401k, life, dental, disability, catastrophic and vision insurance. In addition, Drivers can expect flexible home time with an average haul length of 1,200 miles. 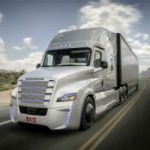 Finally, Transport Designs asks that applicants be at least 23 years old, already have their CDL A license, and have had at least two years of recent driving experience. Truck drivers often struggle with maintaining healthy habits over the road because they often lead a sedentary lifestyle when driving long distances. Extended hours spent in the truck can often lead to higher levels of stress, dependence on stimulants to stay alert, less activity throughout the day, and lack of access to healthy food options. This tends to take a toll on drivers as they have a hard time overcoming these obstacles. In order to provide drivers with access to healthy habits and tips for easily maintaining them, we put together this ultimate guide. Don’t have time to read the ultimate guide now? No problem. Provide your contact information, and we’ll send you the guide to finish later. Truck drivers can work up to 11 hours per day, and this oftentimes leaves little room for breaks or exercise. When trying to find the time for exercising, drivers need activities that can be completed virtually anywhere, don’t take a lot of time, and are effective. The list of exercises below is an easy way to incorporate activity into a truck driver’s day. Drivers can either choose a routine that doesn’t require any equipment or weights, or they can choose a routine that involves using a pair of free weights. When running through these exercises, it’s recommended to do each exercise as many times as possible for 1 full minute, rest for 30 seconds in between each exercise, and then repeat the entire cycle of exercises 3 times. This will produce a high-intensity, full-body workout in 20 minutes, which can be repeated easily a few times per week. Some truck drivers have even taken working out to the next level and have discovered a way to incorporate a complete gym in their truck by using the FIT System (Freightliner In-Cab Training System). This exercise and flexibility system is designed to allow the driver to do an upper body, lower body, and cardiovascular workout in the comfort and safety of the cab of their truck. The system is easy to install and use in the truck and can also be brought inside to a home or hotel room. We’ve all heard that we need to eat more fruits and vegetables. But truckers often face difficulty when trying to access healthy food options, especially fresh produce. Planning ahead and packing food for the road is the best way to not settle for fast food when it comes time for the next meal. Most drivers who bring food in their truck prepare ahead and pack meals that can be kept in a small cooler. 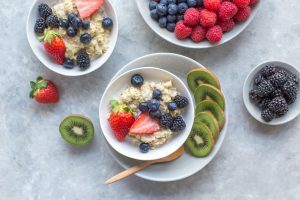 Below are a few ideas for breakfast, lunch, and dinner that are easy for truck drivers to grab from their cooler, heat up in their microwave, and enjoy quickly on a break. In between meals, many truck drivers also look for snacks that will keep them full and alert while driving. Making good snacking choices can help drivers maintain energy longer and avoid consuming empty calories. In addition to having quick, easy access to healthier food options, drivers who pack their meals often also see increased financial savings from month to month. Research shows that the number one expense for drivers is food. By packing snacks and meals ahead of a drive, truckers be less inclined to stop at a fast-food restaurant, and will in turn, save cash and calories. After a long day spent driving, a good night’s sleep is exactly what most truck drivers need. Not only does resting allow drivers to regain strength for the next day, but it also helps them unwind physically and mentally. However, being able to fully unwind after driving all day may sound easier than it is. To help drivers change gears after a shift and start to relax, it’s recommended to avoid eating at least three hours before bedtime, turn off electronics at least 30 minutes before sleeping, and even try meditating. These activities will allow the body to start melatonin production for a restful night’s sleep. Meditation is proven to help drivers refocus after a long day and ensure a better night’s sleep. Drivers can meditate easily by downloading an app such as Headspace or Calm, or they can practice the same meditation techniques without needing any technology. In order to get started, drivers can sit in a chair or in their truck, and place their feet flat on the floor. They can then place their palms face down on their lap, closing their eyes. Then, they can breathe slowly and deeply for 10-15 minutes, trying to keep their mind blank. 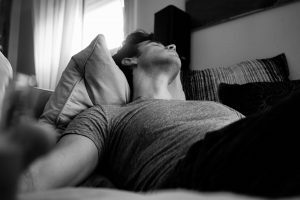 Taking an extra 10 minutes each morning or evening to unwind can be extremely beneficial for a driver’s mental and emotional well-being, especially after a long day on the road. 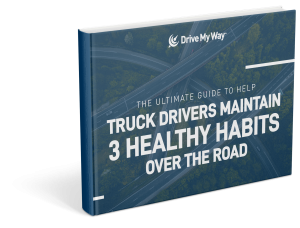 We hope this ultimate guide will help truck drivers learn and maintain these three healthy habits over the road! Want to download the guide to reference again later? Provide your contact information, and we’ll send you the guide. The Drive My Way job of the day comes from Volpe Dedicated. Volpe began in 1922 when Carlo Volpe began a small business fulfilling a need for a delivery service between his hometown of Norristown, Pa. and Philadelphia. Throughout the years, the company grew to its current size due to the family’s commitment to Carlo’s business motto, “service with a smile that satisfies”. Four generations later Volpe Dedicated remains family owned and dedicated to serving your need for a quality, dependable, & safe carrier. 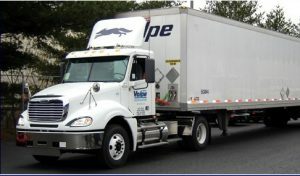 Volpe has openings right now for Dedicated CDL A Local Delivery Drivers out of their Fairless Hills location. This is a dedicated position where drivers complete retail deliveries to the following cities: NY, NJ, PA, DE, MD, VA, DC. This Volpe Dedicated position is home daily. In addition, openings available on both the Mon- Fri and Tue-Sat schedules in the morning, midday or night shifts. Also, they offer great pay and benefits! We run 50 single axle day cab tractors with either 45, 48 or on occasion 28 foot trailers…all standard shift. We have two box trucks one 24 foot and one 26 foot…both automatics. These only do deliveries in very tight spots that a trailer will not fit. The Drive My Way job of the day comes from Justman Freight Lines. Justman is a USPS Mail contractor that also hauls general freight with vans and flatbeds. Justman Freight Lines has openings right now for CDL A Local Drivers out of the Twin Cities Metro Area. The is a flatbed position which runs from Spring to late Fall, but year round you will also be pulling dry vans, either freight or postal work. This position offers great pay and benefits, newer equipment, plus you’ll be home daily! The Drive My Way job of the day comes from Highways & Skyways of NC. Highways & Skyways has uniquely positioned itself to become a leading provider of lead logistic services in the Midwest and South. They have openings right now for CDL A OTR Drivers out of their Greensboro, NC location to run the east coast with some opportunities to run to the west coast. This position is great for the OTR driver who wants a home weekly schedule and great pay and benefits. Plus, there is a $5,000 sign-on bonus! The Drive My Way job of the day comes from Standard Transportation Services. Established in 1984 as one of the first transportation brokers in the Joplin, Missouri area, Standard has set the pace in their industry. Centrally located in extreme Southwest Missouri, Joplin is at the crossroads of U. S. Highway 71 and Interstate Route 44. Standard Transportation Services has openings right now for CDL A OTR Drivers out of their Joplin, Missouri location. This position is no touch dry van freight with weekly home time! It also boasts a $500 sign-on bonus, a new pay scale that increases after 12 months continuous employment, and great benefits. Job of the Day – Creech Logistics Inc. 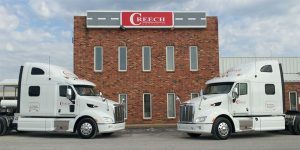 The Drive My Way job of the day comes from Creech Logistics Inc. A family owned and operated business located in Troy, Mo, Creech prides themselves on having the best equipment as well as the best employees in the industry. Creech Logistics has openings right now for CDL A OTR Drivers operating mainly in the Midwest, South, and East. This position is 100% No touch dry and refrigerated freight with home time of every other weekend or more depending on home location. This position also boasts great health benefits, life insurance, and pay – Check it out! The Drive My Way job of the day comes from Environmental Transport Group Inc. In Business for more than 30 years, ETGI is equipped with everything needed to transport waste products. This includes vacuum tank trailers, standard tank trailers, roll-off containers, dump trailers and box van trailers. Environmental Transport Group has openings right now for CDL A Regional Hazmat Drivers out of their Flanders, NJ location. This position has a $5,000 sign-on bonus, a fantastic benefits package, and $0.60/mile plus extra pay for stops, breakdown, wait time, and much more. Also, this position gets you home most weekends!